MPC Orchestral Pro Edition features a whopping 54 multisampled orchestral articulations, all fully optimised for modern MPCs and perfect for any beats that need epic strings, powerful brass sections and haunting woodwind melodies. This expansion is compatible with MPC X, MPC Live, MPC Touch, MPC Renaissance, MPC Studio plus MPC Software 2.x & 1.9 and is fully optimised to use minimal memory in standalone mode. 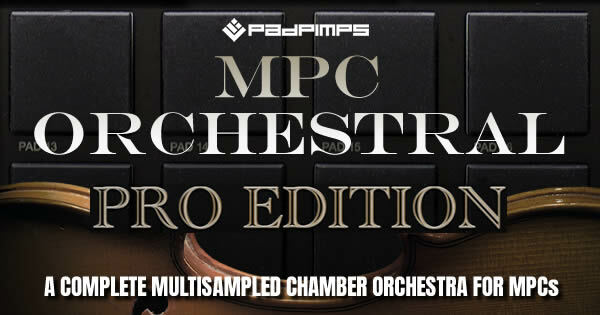 MPC Orchestral Pro Edition is far and away the largest acoustic instrument expansion available for MPCs today and an absolute must-have for any MPC producer who needs to add realistic orchestral flavour to their beats. Launch Offer: For the next 72 hours only, you can purchase MPC Orchestral Pro Edition at a 50% discount - offer ends Friday 16th November 2018!